Be the first to share your favorite memory, photo or story of Mona. This memorial page is dedicated for family, friends and future generations to celebrate the life of their loved one. 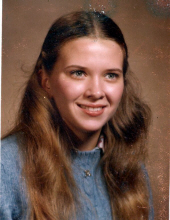 Mona Rose, 58, of Tate Township, passed away Tuesday, February 5, 2019, surrounded by her loving family. She is survived by her devoted loving husband, Larry Rose; 3 daughters, Ehryn Cartwright (Daniel), Carly Rose (Grant Dryden) and Taylor Rose (Ross Adams); grandchildren, Isabella, Easton, Porter and Elouise, who affectionately refer to her as Mamaw. Daughter of the late Carl and Gladys Regan; sister of Bill, Joella (Steve), Carlotta (Larry), Pattsy (the late Sam), Linda (Donnie), Matt (Karen) and Stuart (Nancy); daughter-in-law of Jean Rose and the late Louie Rose; sister-in-law of Mark (Lisa), Rick (the late Cindy), and Dale (Darla). Also survived by numerous nieces, nephews, family and friends. Memorial donations may be made in Mona's honor to St. Jude Children's Research Hospital, P.O. Box 1000, Dept. 142, Memphis, TN 38148-0142. "Email Address" would like to share the life celebration of Mona Rose. Click on the "link" to go to share a favorite memory or leave a condolence message for the family.